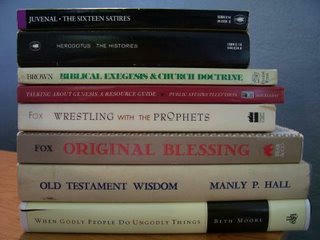 The Blog of Dr. T. Michael W. Halcomb: What Do Raymond Brown, Matthew Fox & Herodotus Have In Common? What Do Raymond Brown, Matthew Fox & Herodotus Have In Common? I've said it before and I'll say it again, if you're ever in K-zoo, MI, you have to stop by the bookstore at the public library!